It's been a year since I've been wanting to make this pie. 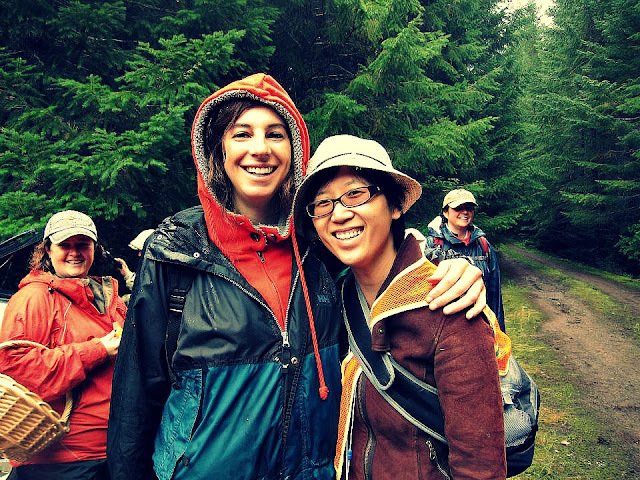 After foraging for chanterelles with my friend, Jamie, outside of Portland, OR, we both made out with pounds of shrooms. That night we had sauteed chanterelles and pasta for dinner and rejoiced over our awesome foraging trip. But there was so much more. The Wind Attack suggested adding tallegio and tucking it into some phyllo. As a lover of all three of these ingredients, I thought this was a brilliant idea. Except this time, fast forward a year and no foraged chanterells. These shrooms were ravaged at the grocery store. I added some fresh Greek oregano for brightness and boom! this pie turned out to be absolutely delightful. Although I didn't use chanterelles on this go-round, they would be optimal for further pie making. Hoping to do some foraging in PA when the season is right so I will keep you posted! In the meantime, have a slice of pie and enjoy what appears to be the Wayne's World of Mushroom Foragers below. In a cast iron skillet, heat a few tablespoons of olive oil. Add the onion and cook about 5 minutes or until translucent. Add the mushrooms and continue cooking until they caramelize - about 15 minutes. You might need to deglaze with some white wine like I did. Remove from heat and let cool while getting the phyllo ready. Grease a deep pie dish with some butter and begin layering phyllo, sprinkling butter between each layer totaling 6 sheets. The sheets will be bigger than the dish, but that's the point - overlapping is intended! Save 2 sheets for the top. Crack the eggs into the mushrooms and add the cheese and oregano. Mix together and spread into phyllo prepped pie dish. Layer last two sheets, sprinkle top with extra butter and oregano if you're feeling fancy. Bake for about 30 minutes, or until golden brown. 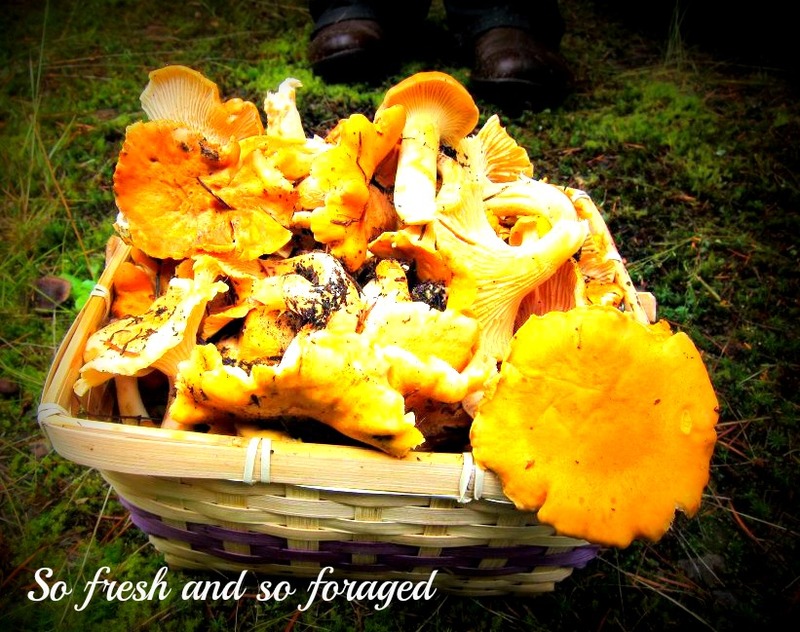 The Wayne's World of Mushroom Foragers. Party time. Excellent. I love this! Chanterelles are my favorite mushrooms. Love the photo of you and your friend too. Foraging for mushrooms, how exciting! and chanterelles no less! You live in the right area girl! Love your pie, you could easily convince me to buy one like this say your price! I so want to go 'shroom foraging one day, lucky you! 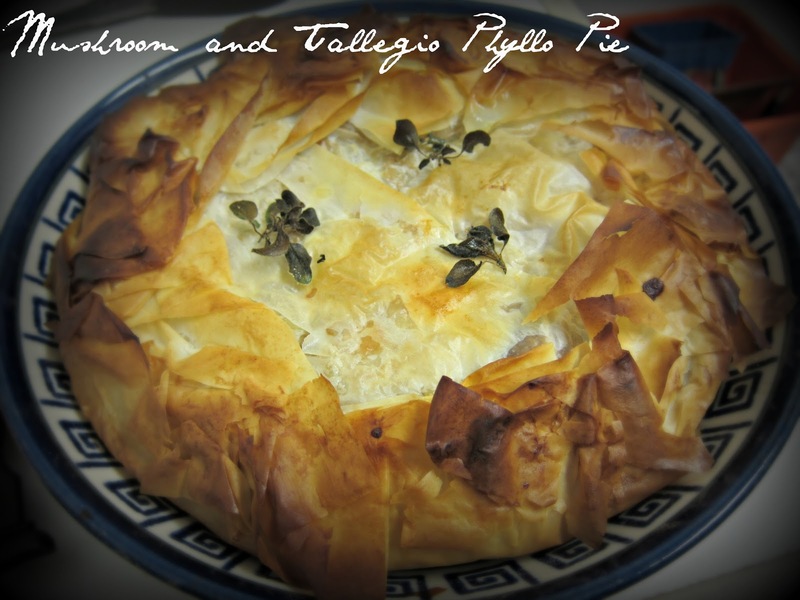 Nice lookin' pie...phyllo & shrooms go nicely. Greg - If you come to PA, I will arrange something. Also, then you must cook a tart. Magda - Word! Thank you and hope saw the movie Wayne's World. Tasteofbeirut - Hah, really? Free for you, of course! Peter - Come to PA, and we'll make it happen! Superb blog admin,till now I didn't saw this type of blog..and your posts are very nice..